1. 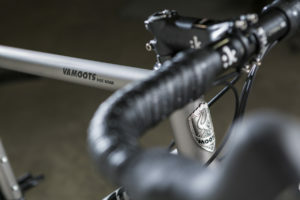 The Standards are settled – After a period of much change with new technology and standards, we feel our new Vamoots DR captures all of the cutting edge technology to yield the latest, best performing,endurance disc road bike to date. – Front and rear thru axles combined with Flat Mount braking using our proprietary 3D printed Flat Mount frame insert. The end result is a flawless frame built to accommodate the latest in disc component technology from SRAM, SHIMANO, and CAMPAGNOLO. Flat mount disc brake caliper mount. 2. New 3D printed brake technology – While not as detailed as our RSL level 3D printed dropouts, the DR incorporates a 3D insert on the chainstay that ensures the highest level of alignment, stiffness, and weight savings. 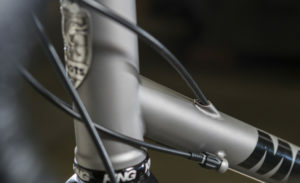 It’s the best solution to the tricky challenge of inserting a flat mount brake system into a titanium chainstay.  You can be sure your brakes will be aligned perfectly and your frame built tough for a lifetime of riding. Fastback seat stays replace the mono stay. 3. Fastback seat stays—- The new flat mount standard of braking also allowed us to design the new DR with a lighter more stylish Fastback style of seat stays. 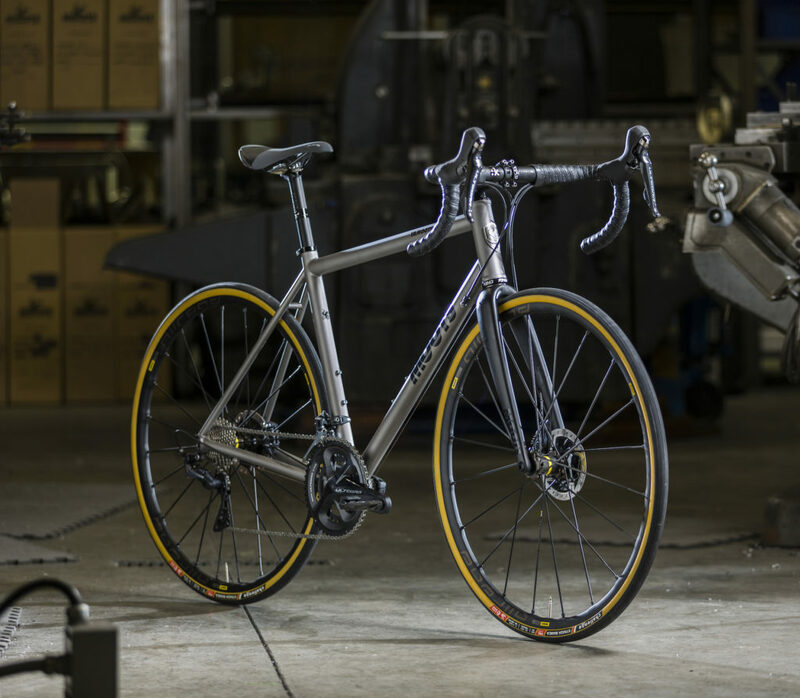 This evolution of design puts the DR styling more in line with traditional road bikes with a clean look and lightweight frame (~1500 grams for size 54). 4. Let’s get comfy (and stable) – The secret is out, higher volume tires can give you a better ride without compromising speed. Our new DR gives you a full range from 25mm high pressure race tires to 30mm high volume for additional comfort and stability. Many of our customers are even keeping 2 sets of wheels on hand to easily switch between tire sizes depending on the type of riding they will tackle. 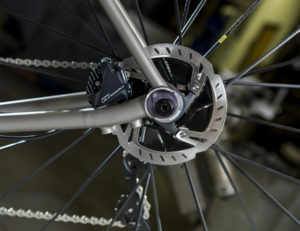 Optional internal rear brake routing pictured. 5. 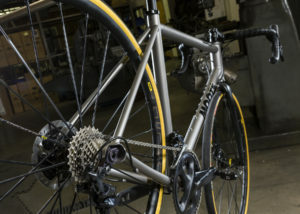 All Day, Every day – This is the one bike for all of your road riding dream;. Group rides, solo spins, gran fondos, light gravel and dirt, the roughest of pavement to the smoothest tarmac. 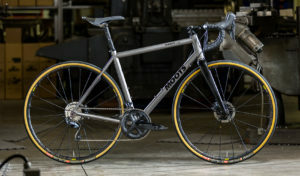 The new DR brings together our time tested titanium tubing and refined endurance road geometry that gives you an incredibly sublime ride of a Moots. Not convinced? Just ask any of our owners. Where would you like to ride today?